I love chocolate in all its forms. 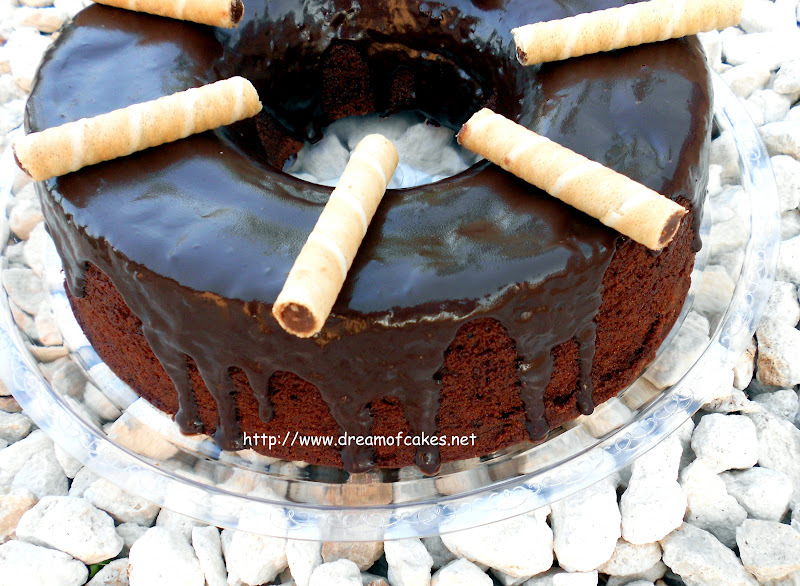 This recipe is dedicated to all chocolate lovers! Enjoy! 1. Preheat oven to moderate (150ºC fan-forced). Grease 24cm bundt pan well. 2. Beat butter and sugar in medium bowl with electric mixer until light and fluffy. Add eggs, one at a time, beating until just combined between additions; stir in combined sifted flours, soda and cocoa in two batches. Then add yogurt and vanilla extract. 3. Spread mixture into pan; bake about 1 hour 10 minutes. Stand cake 5 minutes; turn onto wire rack to cool. 4. Stir ingredients for chocolate glaze in medium heatproof bowl over medium saucepan of simmering water until smooth. Pour glaze over cooled cake; stand 30 minutes before serving. Yummy cake. I love ganache.....easy to make and not too sweet. This cake looks sinfully delicious! I love chocolate! Thank you for this recipe, I will try it. Oh dear I am drooling over your cake....it looks stunning...could I have a slice, please? Love that there is yogurt in this chocolate cake! This cake sounds so yummy! Love chocolate cakes. It looks delicious. I loveeeeeeee ganache...even more than buttercream frosting! I think ganache goes well with everything from brownies to cakes to pies...lol. I wish you would cut me a slice of this cake right away...haha. Very deft use of chocolate as an artistic medium This cake is a pleasure to look at and, with a piping hot cup of coffee, I'm sure was an immense pleasure to dispose of! Great results! Beautiful as per usual, Eftychia. I love chocolate too; it really is my weakness. I am crazy about chocolate. I only get to eat small pieces of dark chocolate very rarely until I lose some weight. Your cakes are so pretty. I am working on an idea for a Black Forest cake with a Steampunk design for my birthday this year. Thanks for visiting my site. Mmmm... Rich and decadent! This looks great E!